White Biocentrism • View topic - Who's next @ the SCOTUS? Who's next @ the SCOTUS? Re: Who's next @ the SCOTUS? She's not a traitor though. She's a Jew. To say a Jew is a traitor is to accept the (absurd) notion a Jew is one of us. Jews don't see themselves as one of us and we don't see them as one of us either. A real traitor would be an White turned renegade, like nearly all politicians and presstitutes in the pay of the Jew. Incidentally, Ginsberg "crawled out" and into the supreme court with the help of a White traitor: Bill Clinton. He definitely took money from the Jews to get to the presidency. If you have a chance, read "King of Cons" by Jew Aaron Tonkin, you'll see how it was done. Jim, the correspondent that sent me that text lives here in my county and we have a cordial relationship, though, believe it or not, he is a devoted believer in Christian Identity. We understand each other and don't nitpick over each other's language. What he and I share in common is that we are both featured on the SPLC's phony "Hate Map." He sells Which Way Western Man? Bought a case from us three years when our Alliance was broke and needing to keep the lights on and computers running. He didn't send me that photo. I made the connection when I saw mention of Ginzberg and remembered it was four years ago when she was only 81 that she dozed off at the President's State of the Union address. Imagine her at 85. Did anyone who watched Trump's SOTU speech last night notice if she was even there? She looks to be way past her use-by date. Truth be known, Bill Clinton, peddling his influence in a Faustian deal, likely took more money from Chinese than he did from Jews. His Party took care of the Jew donors. 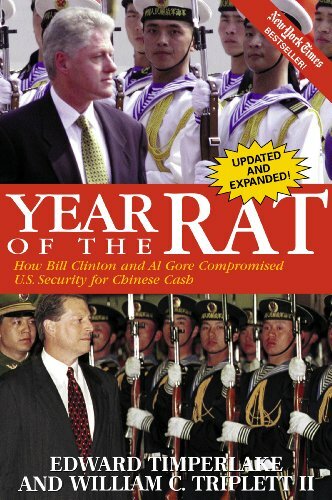 See Year of the Rat for what could be the best example of an otherwise white man selling out his race to the alien Chinese for money and political advantage. The photo of the white rat in front of those Chinese troops is scary. Watching the SOTU wasn't on my agenda, what this particular mouthpiece for Jewish interests says can't be much different than his predecessors. Their White genocide/ Jewish supremacy program will continue would be my guess. 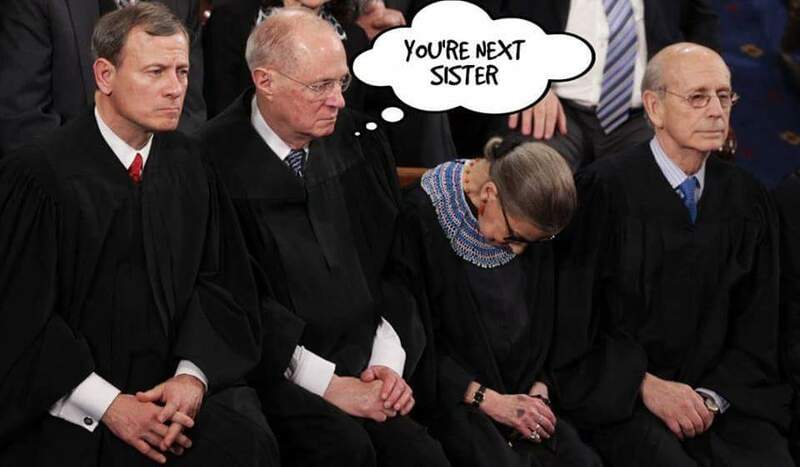 If Ginsburg's animated corpse was there dozing, who could blame her? That circus, there for entertaining the rubes, bored me immensely long ago. If only someone could liven it up by placing a can of Zyklon B in front of her while the cameras wait to catch her reaction....then I might be interested in catching the rerun. Perhaps I do nitpick a bit. Hopefully Simpson's 1000+ page work rubs off on your correspondent, Simpson's evolution away from Christianity is a very compelling read. However, I understand that to change one's philosophy (or religion) is not an easy thing to do, and it shouldn't be! At least not for light or transient causes. That was mighty White of him to buy a case. Hopefully he distributes all of them! Every serious Cosmotheist in awakening stage (that's pretty much all of us, right?) ought to give it some study, it ranks up there with AH's MK and of course, Dr. Pierce's essays on Cosmotheism and other works. Who wouldn't Clinton sell the nation's defense (and other) secrets to? Yet so many of our own people still idolize him, the truth be damned. What an age we live in. Why would they do that? Does she have lice? She looks like she might. Zyklon-B is still used today as a pesticide for delousing humans. https://nationalvanguard.org/2015/09/th ... sian-blue/ I remember the impact this article had on me back in April, 1989. Why would they do that? Does she have lice? It's very lousy to show up at a public event like the SOTU and while it's in progress conspicuously fall asleep. If nothing else, the product would give her something to focus on to keep her awake. She could ponder the health care Germans were providing her kind and how ungrateful Jews were for the hospitality. It would be better than rapping her on the knuckles with an Ash yardstick for the rude behavior, yes?